Time to prepare for Christmas! In the following weeks I'll be posting some ideas for Christmas decorations, ornaments, cards and other items that I've been folding for Christmas in the past years. 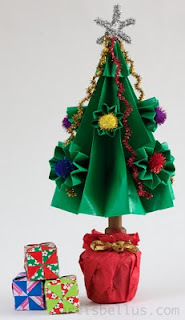 Let's start with some decorations made from traditional kusudama pieces. 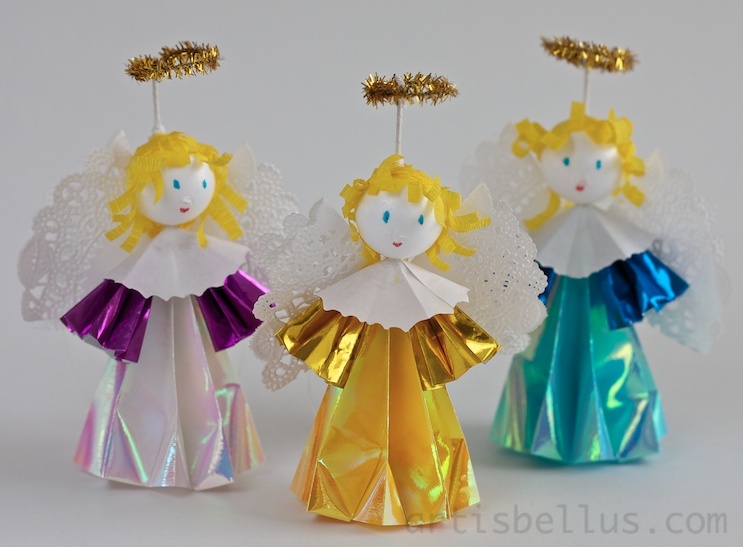 The instructions to make the Angels and the Christmas Tree can be found in the book Creating Lovely Paper-Flower dolls , by Joie Staff. I put less branches and slightly different decorations in the Christmas tree than in the original model from the book. This is a lovely book, one of my favorites. 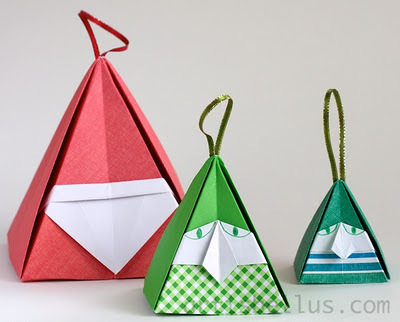 It also contains instructions for many paper dolls made from kusudama pieces, including two Santa Claus models. 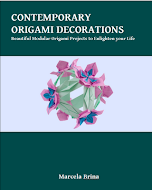 The gift boxes decorating the tree are Bird cubes, designed by K Kasahara, from the book Unit origami: Multidimensional Transformations . Although these models involve more crafts than origami, I thought they would be a great start for the Holiday Season.